A collision reconstructionist called by the defence at the trial examining the cycling death of Nusrat Jahan says the driver of the construction truck would not have seen her when they were stopped at a red light in downtown Ottawa. Steven Conley, 40, has pleaded not guilty to criminal negligence causing death and dangerous driving causing death. Jahan, a 23-year-old student originally from Bangledesh, was cycling to school on the morning of Sept. 1, 2016, when the truck struck her at the intersection of Laurier Avenue W. and Lyon Street just before 8 a.m., pinning her under its rear wheels. Mark Paquette, a senior collision reconstructionist with 30 Forensic Engineering in Toronto, conducted a blind spot analysis of the fatal collision for the defence team. Paquette has been a forensic engineer for 10 years, developing specialities in reconstructing vehicle collisions of both cars and commercial vehicles and analyzing driver blind spots. He has not yet been qualified as an expert by Ontario Court Justice David Berg. 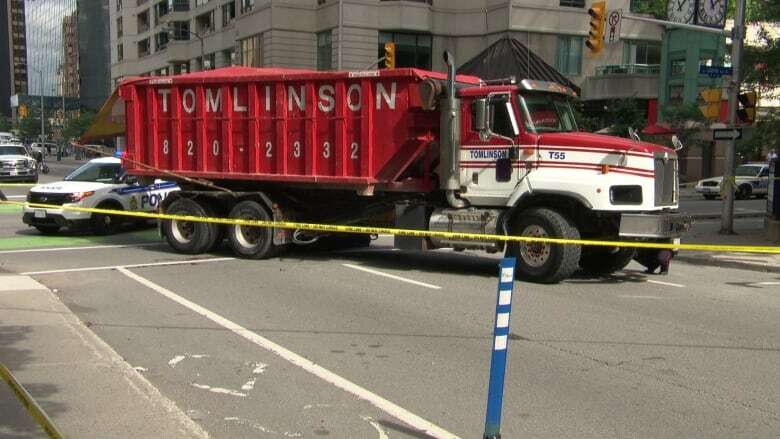 In late May, Paquette went to an Ottawa parking lot with the same Tomlinson vehicle involved in the collision. Paquette placed himself in the driver’s seat and adjusted his seating position to Conley’s height. An assistant put a rod equal to Jahan’s height to the right side of the passenger door. The rod was moved back in increments in order to determine at what point the rod was no longer visible to the driver. The engineer then layered that data over 3D photographs from the fatal intersection — including the stop lines as they were at the time of the crash. Paquette concluded that when Conley and Jahan were stopped at the red light, the driver couldn’t see Jahan on her bicycle. “Ms. Jahan would have been in the driver’s blind spot, she would have not been visible to Mr. Conley when they were both stopped at the stop line on the red light,” Paquette testified. At the time of the collision there was a 1.77-metre separation between the bicycle and vehicle painted stop lines marked on Laurier Avenue W.
After Jahan’s death the city moved the stop lines, and there is now five metres of separation. In court, defence lawyer Dominic Lamb asked Paquette if he agreed with the blind spot analysis conducted by Det.-Const. Greg Rhoden, who concluded that Conley would not have seen Jahan from the cab of his truck. “I would agree with that,” Paquette replied. Rhoden was replaced on the investigation for “unrelated reasons” and his replacement, Det.-Const. Alain Boucher, conducted a re-enactment at the fatal intersection. Boucher’s report was revealed in court to contain several key mistakes, and Berg ruled Monday that Boucher wasn’t qualified as an expert witness, and both his testimony and report are inadmissible. Paquette told court Boucher’s finding that Conley would have been able to see Jahan was “incorrect” because he used a stand-in driver taller than Conley and used an incorrect location of the bicycle stop line.